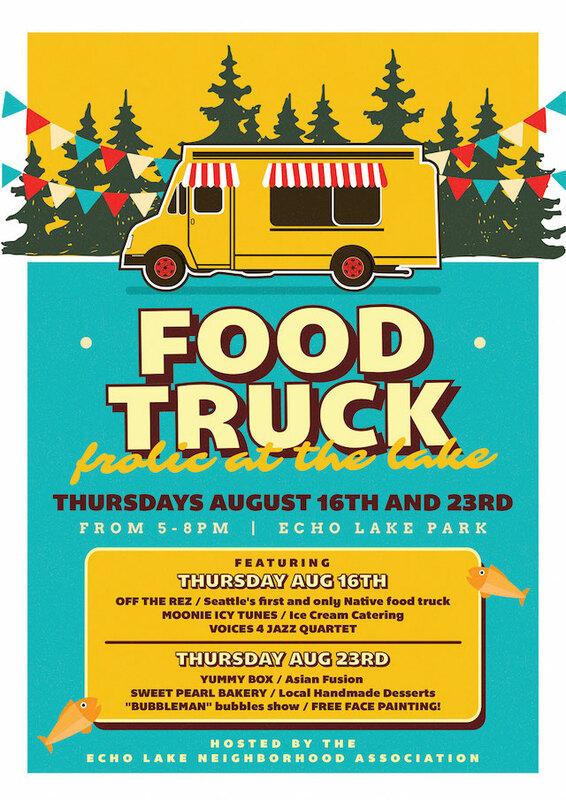 Join the Echo Lake Neighborhood for two fun filled Thursday evenings of food and entertainment at Echo Lake Park in Shoreline on August 16th and 23rd from 5-8pm. The park is on the east side of Echo Lake at N 200th and Ashworth Ave N, on the Interurban Trail. Bring a towel or chair to sit on and enjoy music and entertainment while feasting on delights for sale from local vendors. Look for the FOOD TRUCK THURSDAYS banner soon! Off the Rez and Moonie Icy Tunes on the 16th along with vocal jazz quartet.